And on cue, everyone in the boat dashed to where I was (on the left) and blinded me with their flashing. But one by one just as quickly as they came, they fell back into their chairs, uttering annoyed groans like, “Ugh,” or “Ahhh,” or “Hmphh”. I on the other hand, was giggling. 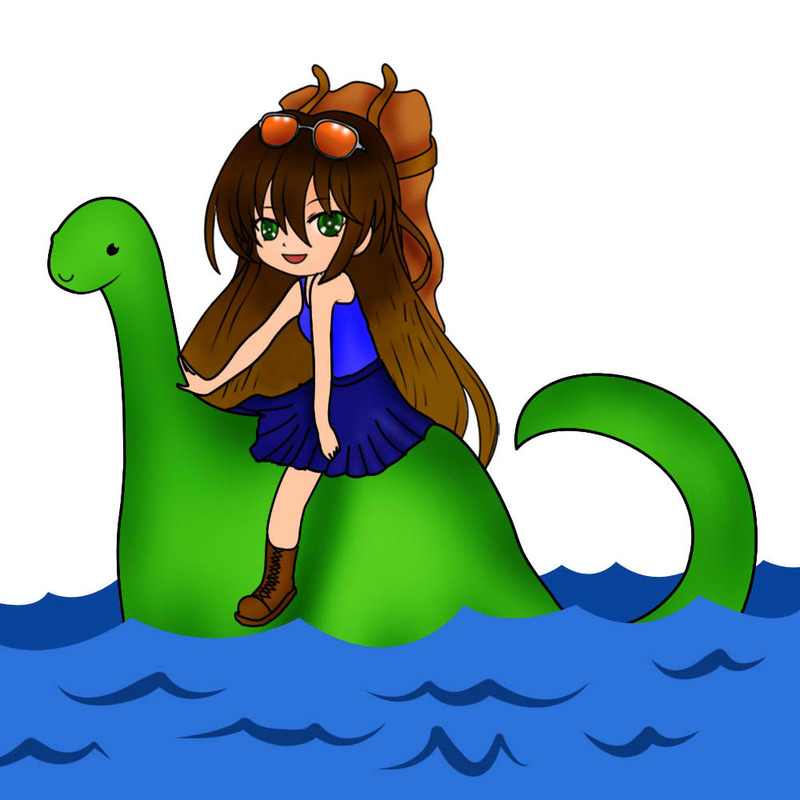 Being seated next to the window in the lower deck of the boat, I already knew which “Nessie” he was talking about. There was a sticker on the window that looked like a shadow of the Loch Ness Monster, very similar to the black and white photos that have been circulating around the globe for years. It was strategically placed so that when you take a photo of it, it looks like there’s a long monster’s neck peeking out of the dark waters of the loch. I had already been to Scotland once before and instantly fell in love with it. I stayed mostly in Edinburgh with a friend of mine. I thought the city was picturesque and disarmingly beautiful that I vowed to go back the next chance I got – and I did. The second visit was a little longer so I had time to do a few excursions. Being the mystical fangirl that I am, obviously my first choice was the Scottish Highlands Tour including the Loch Ness Boat Cruise. They had the word, “Nessie” in their brochure and I really didn’t need any more convincing after that. I love legends and folklore. Talk to me about Nessie, Big Foot or anything of that sort and you’ll have my full attention. Which is why on that sunny day in September, on the Loch Ness Boat Cruise, I was glued to the Marine Biologist, Richard MacDonald, who was talking about how him and his team found a carcass of this mysterious creature underwater a few years ago. 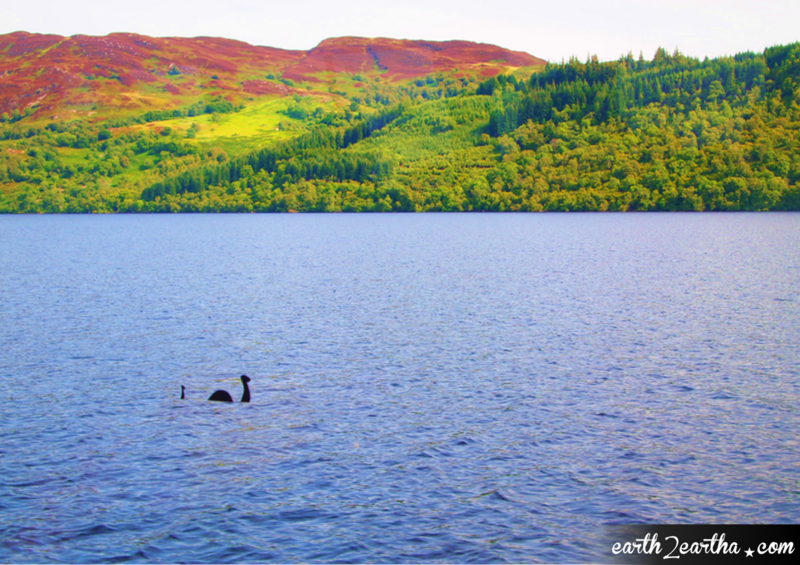 Mr. MacDonald has been working as a marine biologist and researcher in Loch Ness for more than 20 years, and he claims to have encountered Nessie on several occasions. There was silence in the boat. My mouth was open the whole time. This was starting to make a whole lotta sense to me. What a Plesiosaur would look like. “They are called Plesiosaurs,” he said. I Googled it. Plesiosaurs are water dwelling reptiles from the Mesozoic era. They are believed to only to inhabit dark waters, which incidentally, what the Loch is. The waters honestly looked like molasses to me. He also explained that Plesiosaurs are not only limited to Loch Ness in Scotland, but are spread out all over the world. He even mentioned, Lake Tahoe in California as one of their homes! Eee! So close to LA! Mr. MacDonald whipped out his phone, and after asking each and everyone of us to put our cameras away, showed us photos of the carcass they found. I have to say – they really looked legit. Apparently he's been offered $20 million for those photographs at one point. He then pointed to a little TV screen on the right side of the boat. It was a sonar camera that helps them detect creatures in the Loch. There were little dots of different colors spread across the screen, and he explained that those were fish and other marine life. The sizes varied, depending on the fish. Every now and then, he said, the sonar detects something considerably bigger than the usual dots. He says that’s when he knows the Plesiosaurs are there. “Have you ever encountered them yourself? A live one?” I asked, bravely. “About 8 or 9 times in the past 20 yearrs,” he said with a sly, mischievous grin. “One time, I was just on my little canoe taking a nap when I saw it emerge from the water. It almost tipped my boat over! I barely had time to get my camera, so all I got was this,” and he showed us a photo of what looked like a huge tail sinking back down to the loch, making a big splash. “My theory on why they don’t show themselves much is that they’re photosensitive. That’s why they dwell in dark waters,” he continued. I gulped. That sealed it for me. Whatever reservations I had (and I didn’t have a lot) about Nessie were out the window after that. He explained that all the work and research that they do in the Loch is protected, and will not be released to the public for the next 20 years. The reason behind that is for the own safety and fortification of Loch Ness itself. Apparently, if proof of the Plesiosaur becomes public knowledge, the media will blow it out of proportion, and the government of Scotland has the option and the power to drain the Loch to get a hold of the creatures and study them. There's actually even a rich European that wants to hunt it for sport. Jeez. "I'm here... we're here because we all believe the Loch, and the Plesiosaurs need to be protected." Aww. I felt a surge of respect for Mr. MacDonald. He was serious... and I believed him. Needless to say – I was pretty hooked on the story. I can understand why the others were doubtful. I guess to a certain extent, some of the stories were far fetched (to them, not to me!). They were realists. Read: No imagination. I, on the other hand, am a complete devotee of anything mystical or magical or legendary. And no, that does not make me gullible. I just think that anything is possible. Why can’t a dinosaur have survived all these years? What’s so wrong about believing that Nessie, or a Plesiosaur or a Waterhorse exists? Are we so smug that we know and can identify ALL the living creatures of this Earth? What if they just don’t like sunlight, like Mr. MacDonald suggested? The drive back to Edinburgh from Loch Ness was uneventful compared to what I learned from the cruise. I kept pondering about the Plesiosaurs. How many of them have survived? Are they really photosensitive? Do they have nightvision? What do they eat? I wonder if they’re friendly enough to ride. “But… I saw the photos!! !” I protested. They just looked at me condescendingly and went to clear the dishes.